If you already have your own designers, or indeed if you are a design agency yourself, you can upload your own artwork here. Make sure that you use our template available below, but we will check it for you and confirm whether everything is OK to proceed. Upload your artwork in step 3. Please make sure that you use our template and follow the guidelines. 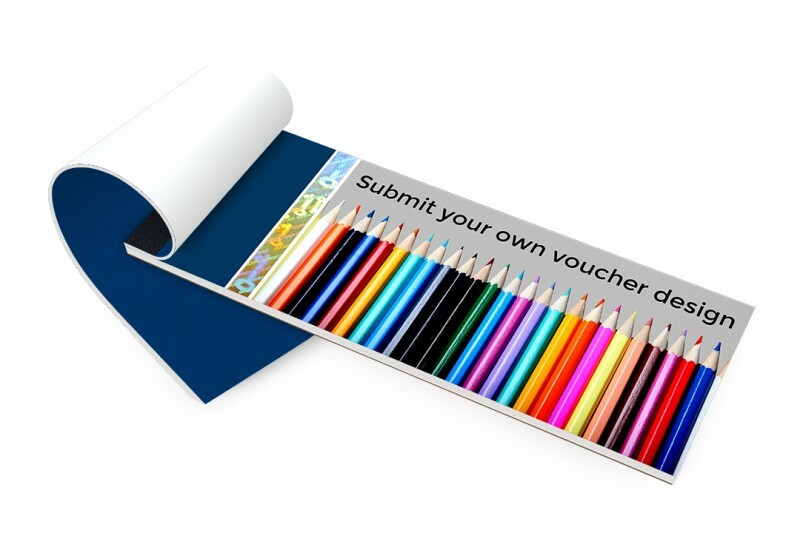 All voucher artwork should have 2mm bleed, and have any non-printing items removed (frames, perforations, numbering etc.). PDF is the preferred format, ensuring that all fonts are embedded.